I have previously shown my support for pipelines in Sitecore and I have used pipelines to modify the request header, to create contenteditor warnings, and I have shown how to add parameters to pipelines. Here is another pipeline trick: Using the RenderField pipeline to create fallback values. The RenderField pipeline is the pipeline that Sitecore uses when rendering the value from the Sitecore database to the frontend. The pipeline ensures that fields can be used using Web Editing. The pipeline is used by the sc:FieldRenderer web control when you render fields from web pages and user controls (.aspx and .ascx files). If you are an XSLT fan, you already know the sc:text, sc:html and sc:field XSLT extensions, that you use to render contents. And you probably also remember that sc:field will use the pipeline, whilst sc:fld will not. 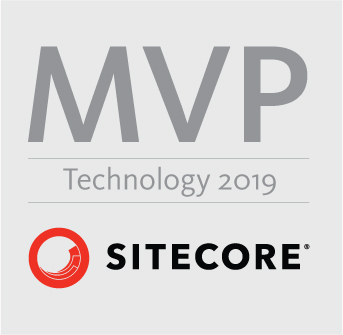 The GetFieldValue processor grabs the contents from the Sitecore field, and I add my step hereafter because I wish to modify the value before it’s rendered to the frontend. Did you notice how I check to see if we are in Web Edit mode? If running in web edit mode, I do not fall back, allowing users to see untranslated fields. This entry was posted in c#, Sitecore 6 and tagged Fallback, language, Pipeline, RenderField, Sitecore. Bookmark the permalink. Great post! That’s definitely a valid approach and I’ve been playing with the renderField pipeline myself. I’ve found, however, that it is a bit resource intensive, plus such operations as item[“title”] would not work for the fallback. Thus, I’ve experimented with a bit different approach by extending the StandardValues Provider. The great thing about SV based approach is that it is field based (very granular) and also supports caching which helps significantly with the performance. I always liked your language fallback solution, which probably is the one to prefer. The item[“title”] I use in the field fallback works fine, at least for simple types. Advanced types as the Rich Text Field or the DocX field might need a little more work in some situations.